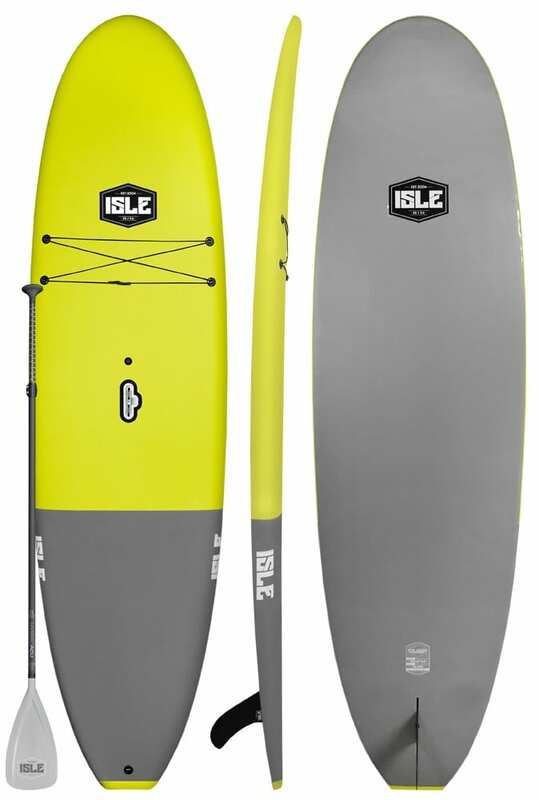 The fully functional Cruiser soft SUP is your performance hard board with a soft construction. 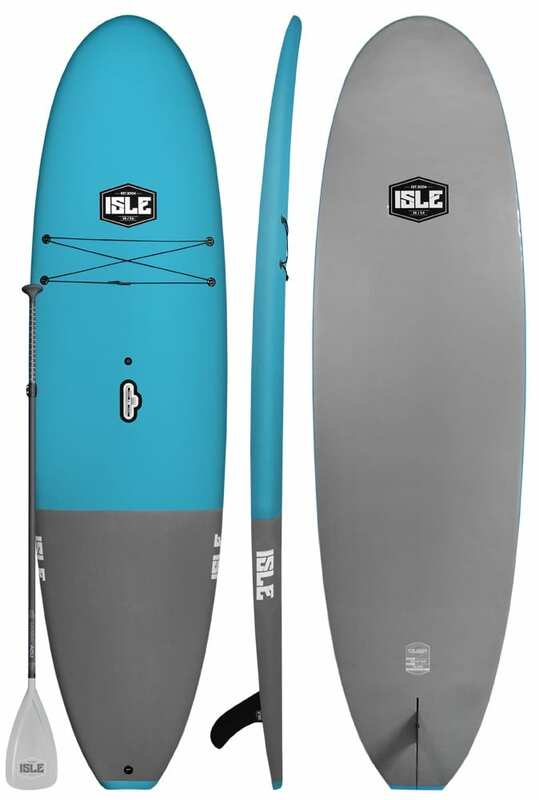 The ISLE Cruiser Standup Paddle Board make up the most durable construction of stand up paddle boards. We took our most popular epoxy hard board design and turned it into a soft top with plenty of volume on the water at an attractive price for all paddlers. The durability is due to the double string foam core with a fiberglass wrap and EVA deck pad. This construction gives the board’s incredible strength and better rigidity for surfing. The comfort textured croc skin allows for better traction and grip for those long paddles and surf sessions when hitting the waves. 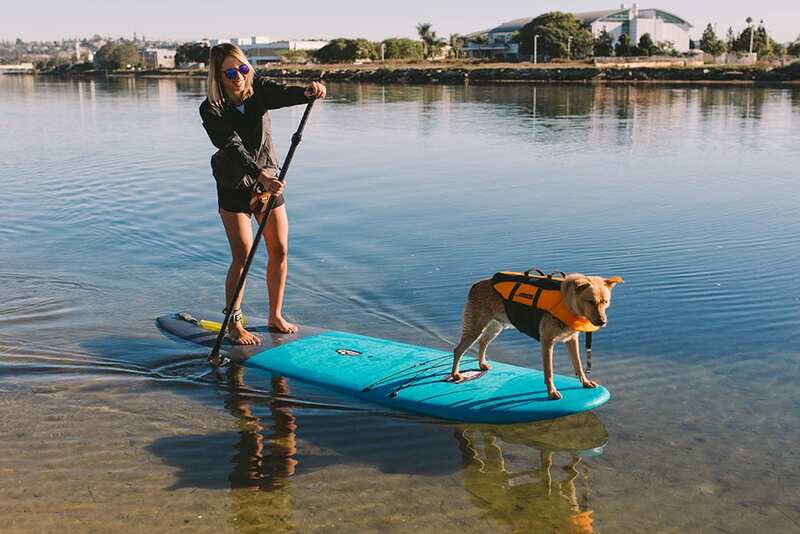 The Cruiser paddle board is also equipped with a front bungee that keeping your cargo accessible and in place. Transporting your board just became easier with the lift SUP handle giving you a solid grab point that anyone can use safely. 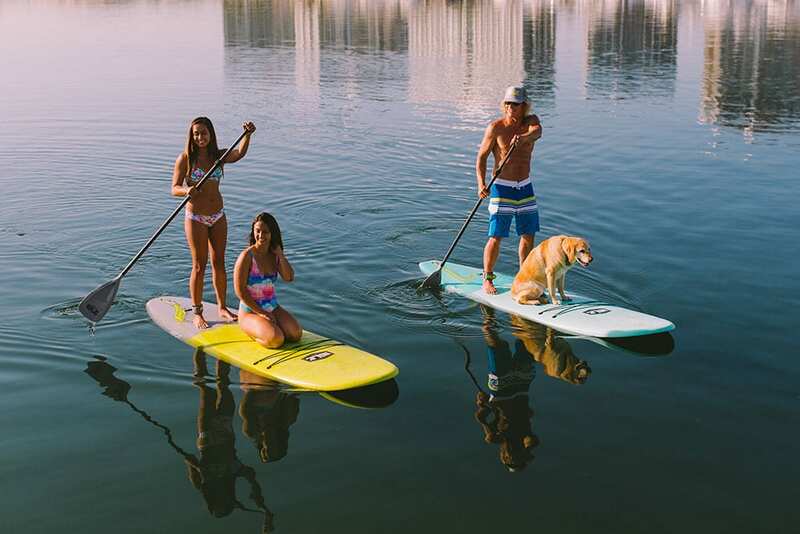 If you are looking for a soft top paddle board for sale that is easy to move for all paddlers, our durable SUP cruiser is the perfect board for you. 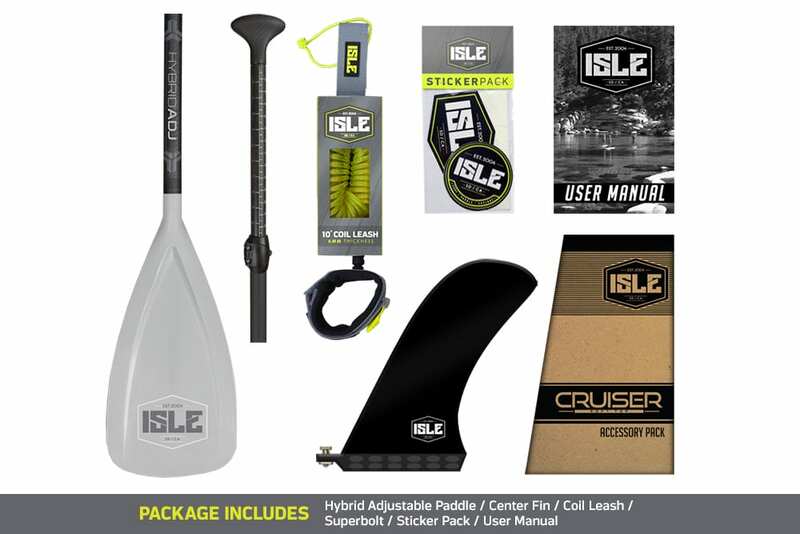 For more information on our cruiser paddle board collection, check out our website or give the experts at ISLE Paddle boards a call today.